Naturally I have started work on Christmas projects. 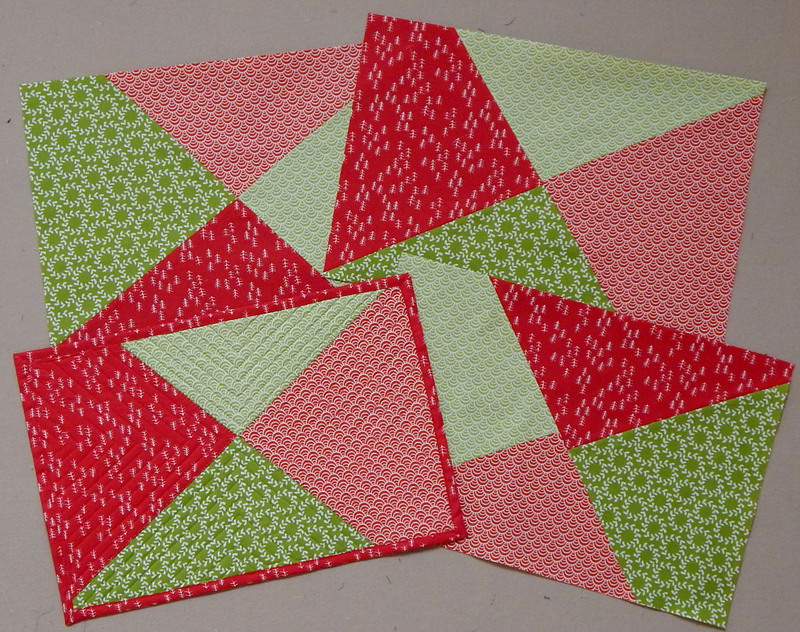 I made a set of Christmas place mats for a quick place mat class I’ll be teaching in December. And I’ve finished the top for this quilt to be given to some special people who presumably do not read my blog! 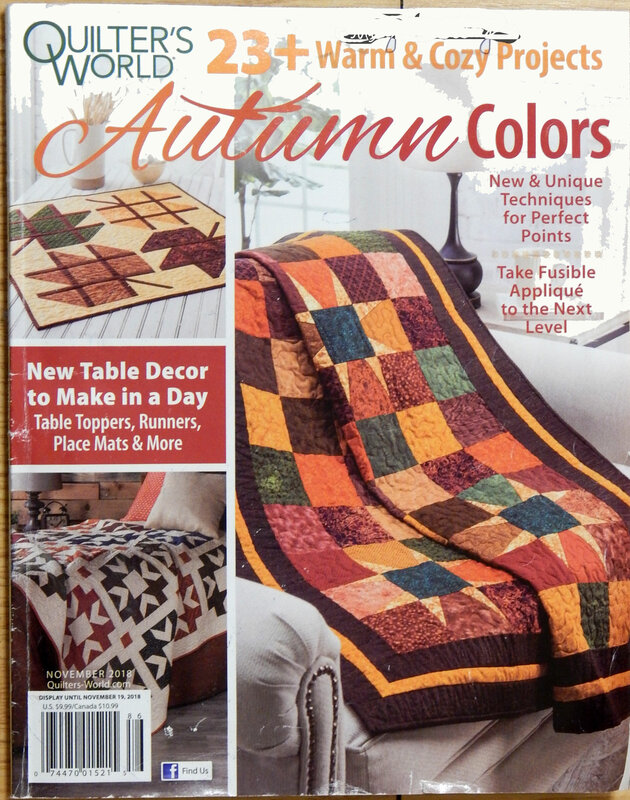 This is a modification of a pattern I found in a Quilter’s World publication called Autumn Colors: I kept the size of the squares and the idea of wonky stars. I love wonky stars! 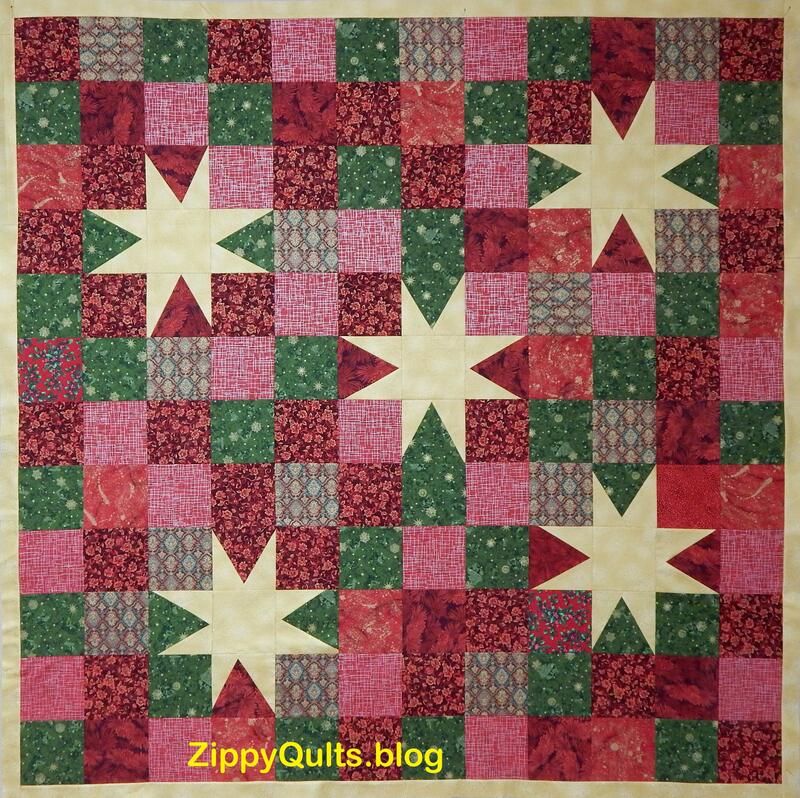 However, I added a row of squares all the way around, repositioned the stars, and eliminated the big borders. 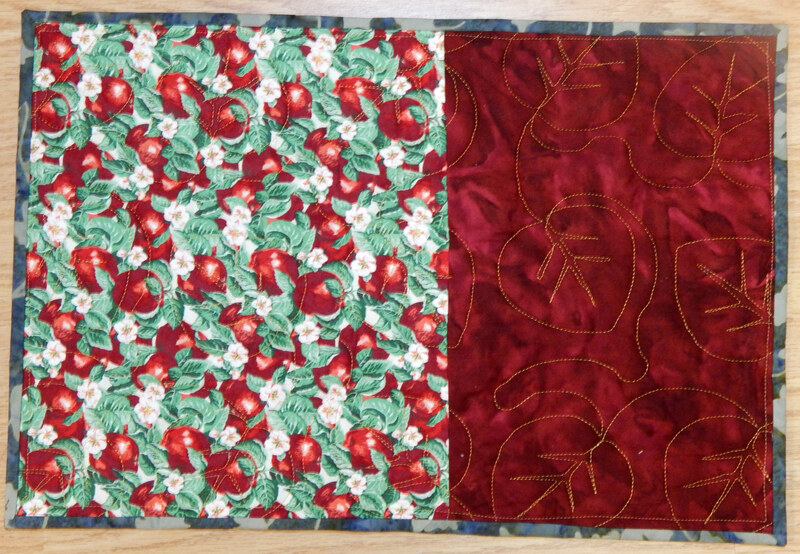 I’ll show it again when it’s quilted and bound. 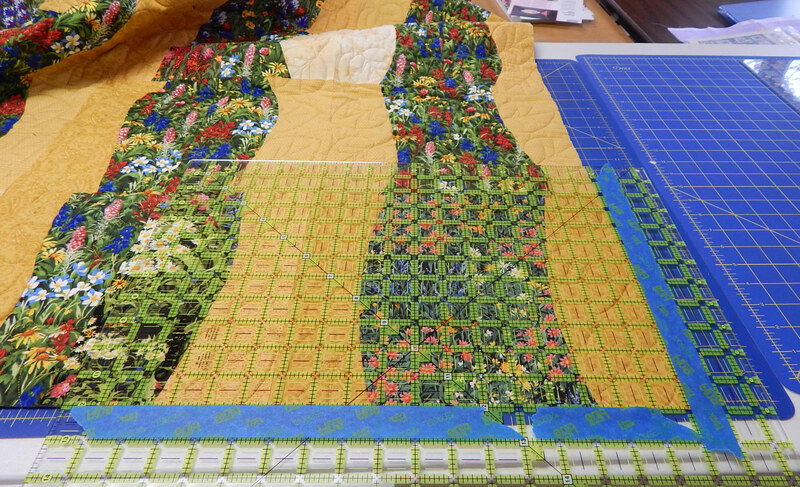 This is a quilt I made a few years ago to practice cutting curves freehand. It never looked as good as I thought it should, for various reasons. I loved the quilted leaves, but I thought the golds should have been more similar in value; the light ones stood out too much. It always bothered by husband that the curves didn’t line up from block to block. Anyway, it never got much use. 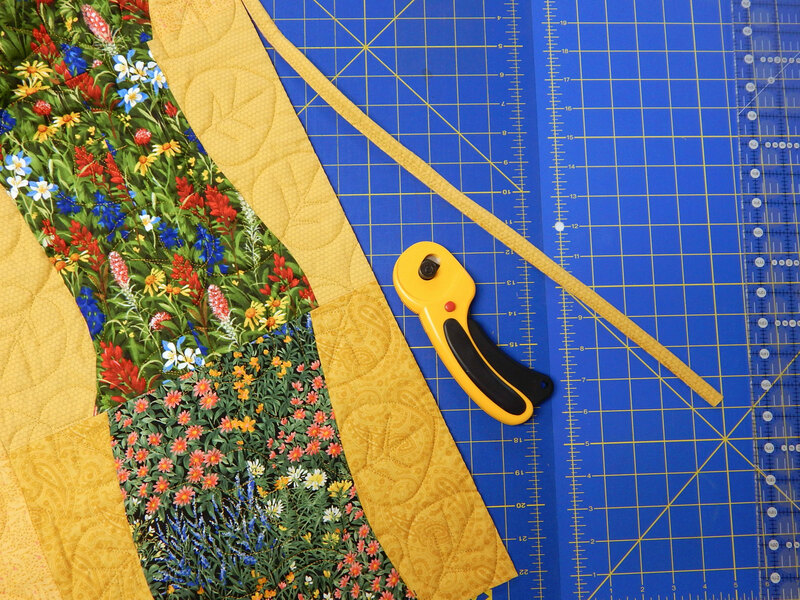 And used my extra-big square to cut pieces 12″ x 18″. 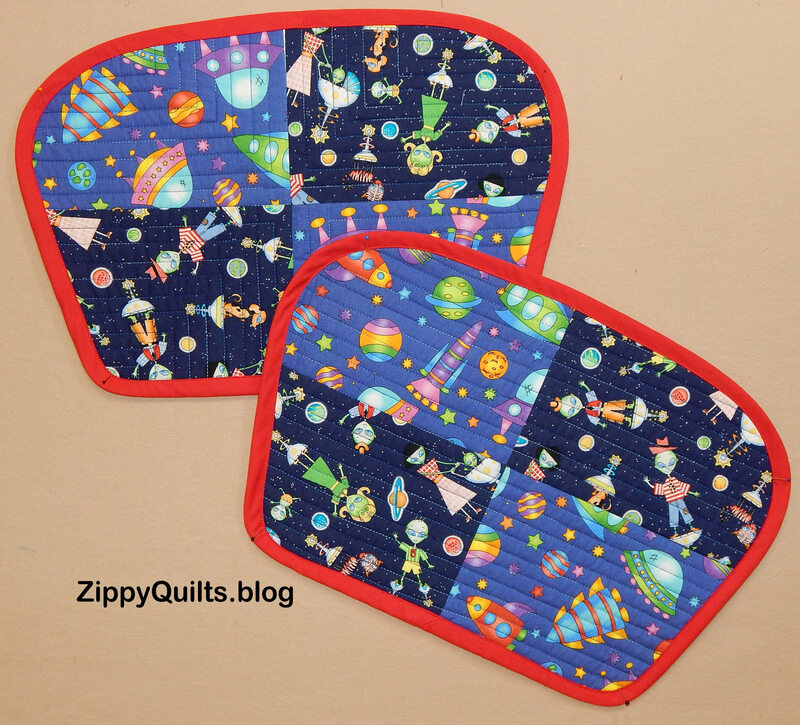 So, if you have a quilt that didn’t quit work out, maybe it would make good placemats!